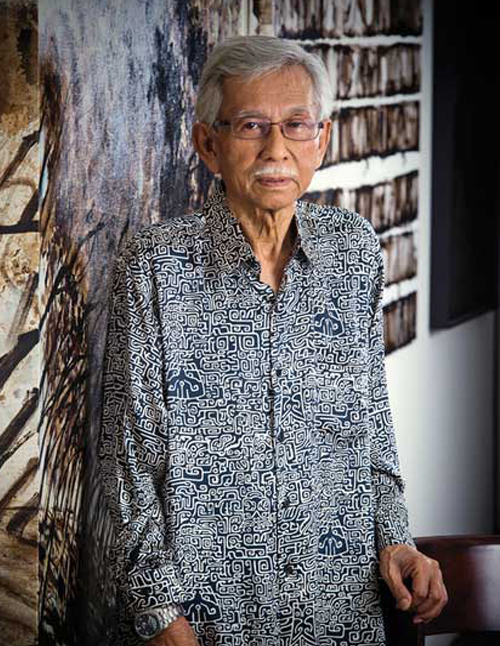 Tun Daim Zainuddin, who served as Malaysia’s Finance Minister from 1984 to 1991, said paintings were outlets for all visual artists to become social critics on the economic downturn, political upheavals and issues affecting people at large. "Tun Daim Zainudin is known as an economics whiz. Bankers, tycoons, politicians and the press recognize him as the mastermind who extracted Malaysia from economic turmoil in the 1980s and again in the 1990s. But few people know about his zeal for art." Awarded the International Business Leader 2006 Award by the African Investor magazine for his vision and active investments in the International Commercial Banks (ICBs) operating in Africa. The African Investor Award is the only Pan-African award that recognizes and rewards an international business leader for exceptional business practice, economic achievements and investments across Africa. Previous recipients of the Award include Mr. Bill Gates, founder chairman of Microsoft and Sir Richard Branson, founder chairman of Virgin Atlantic. Copyright © Daim Zainuddin. All Rights Reserved.